"It's an 83-year-old woman going to church, it doesn't get worse than that." Police in New Jersey are looking for a man captured on surveillance video attacking and sexually assaulting an elderly woman who was on her way to church for early morning service. Jen Maxfield reports. Police in New Jersey are looking for a man captured on surveillance video attacking and sexually assaulting an elderly woman who was on her way to church for early morning service. "It's an 83-year-old woman going to church, it doesn't get worse than that," Englewood Police Detective Captain Timothy Torell told News 4 Friday. He says the elderly woman was walking through an Englewood parking lot early Monday, headed to the Korean Community Church of New Jersey for sunrise service, which she attends daily. She was followed through the lot by a stranger, who then grabbed and tackled her to the ground in a doorway, sexually assaulting her, Torell said. 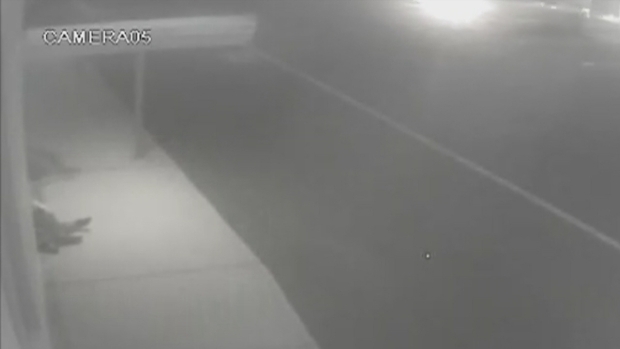 Surveillance video released by Englewood police shows a man in his 30s tackling and sexually assaulting an 83-year-old woman in the parking lot of a church in Englewood, New Jersey, on the morning of July 28. The man calmly walks away when the woman flags down a passing car. The man stopped and calmly walked away when the woman was able to wave down a passing car, video shows. "In the middle of the assault, she flagged down the car, he sees that and calmly walks away and leaves," said Torell. The woman had minor injuries. A staff member at the Korean Community Church told News 4 the victim walks to early-morning prayer service daily and that "church is everything to her." People attending the church were devastated to learn of the attack on one of their most devoted members. "She's an old woman, we have to care of her and respect her," said congregant Chungmi Kang. Police have released portions of the surveillance footage capturing the attack in hopes of identifying the suspect. They believe the man is local and that someone in the community will be able to help identify him. The attack seems to be random, and police are urging the public to be aware of their surroundings when walking late night and early morning. Police are also stepping up uniformed and plainclothes patrols. The suspect is about 5 feet 6 inches in height, and was last seen wearing a drawstring-type backpack, with light colored pants and dark shoes with light-colored soles. The Bergen Crime Stoppers group is offering $1,000 for information in the case; tips can be left at bergencrimestoppers.org.